Here we will review 10 of the most bought and best rated hunting knives on the market today. Each has its own unique style but they all have in common to be made from the best material available making them both strong and long lasting. A good hunting knife is hard to find, as any avid hunter knows. But once you find the one you want, it will be with you for years. And if you’re lucky to fall in love with a Buck, it will be with you forever with their lifetime warranty. Although there is not a perfect knife to be had, there are several that do the job well. There is no one size fits all, and some choose to bring multiple types with them. There is still a great divide between users about the best type, which will be discussed later. The general features in hunting knives are all useful, and a lot less gimmicky than other hunting components. There is usually no wasted craftsmanship, and everything has a general function. As per usual when choosing the best, the user and their intentions are the best decider. Below is a list of what can be considered the best hunting knives on the market, in no particular order. 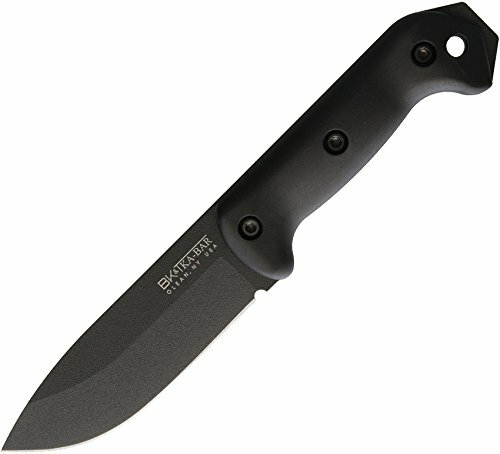 There are a lot of unique knives for hunting, but one of the more unique ones is the ESEE Knives LSP Laser Strike Fixed Blade Knife with Canvas Micarta Handles that goes out of the way to not only be different, but different and innovative. The entire length of this fixed blade is 10 inches, with the 1095 High Carbon Steel blade reaching at 4.75 inches. The handle material is high end and composed of Micarta, while the sheath (for better or worse) is made up of the controversial Kydex. Controversial of course, depending on which hunter you speak to. Everything about this knife and the packaging screams quality, right down to the skeletonized 1095 construction with black powder finish. It is a sleek and clean looking blade, with jimping on the lower spine and index choil on the front. With the included washer piece the gray Micarta scales can be removed, which is a nice touch. The aforementioned kydex sheath is multi-featured and has a sheath tensioner, paracord lanyard with lock and ambidextrous clip plate. Because of the included features with the Kydex sheath, the ESEE Knives LSP Laser Strike Fixed Blade Knife with Canvas Micarta Handles manages to escape the wrath of many that clamor for a traditional leather case. The edge will maintain sharpness over a long period of time because of the Carbon material, and is just as easy to case for as traditional blades. There isn’t a single inch of this package that isn’t overpriced or underdone. 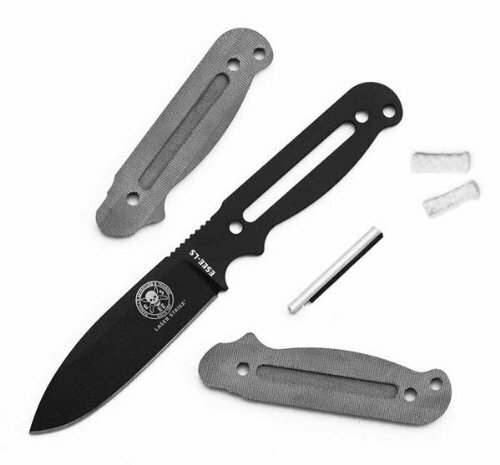 The ESEE Knives LSP Laser Strike Fixed Blade Knife with Canvas Micarta Handles is a top tier hunting knife with a respected following. The warranty is on par with Bucks and even goes the distance of being transferrable. The entire knife is durable, and the blade itself is thick and ready for work. This knife from ESEE comes highly recommended, and is one of the best on the list. If looks were the only thing that mattered, the Ka-Bar Becker BK2 Campanion Fixed Blade Knife would be at the top of the list. The 5.5 inch blade is made of 1095 cro-van steel, while the complete length with handle and blade tops out at 10.5 inches. The blade itself is drop point with a 20-degree edge angle and a highly reviewed Grivory material handle that has changed some minds in the industry. Although not a foolproof warranty, it does come with a limited lifetime warranty. The sheath is unfortunately a glass-filled nylon, which does a decent job, even though a higher grade sheath would have been preferred. It’s on the heavier side at 1.5 pounds, but it doesn’t hurt anything. The thickness of the blade is surprising, and bodes well for long-term use and hunting. The lanyard holes are a nice addition, and well placed with the overall package. A limited lifetime warranty might scare away some potential buyers, but the ruggedness of the Ka-Bar Becker BK2 Campanion Fixed Blade Knife shouldn’t cause any issues. With the blade being ¼ of an inch thick combined with the almost 2 lbs. weight of the knife, it looks to hold up well for years. It comes razor sharp out of the package and ready to filet or skin. This hunting knife has the looks, reliability, and stature to place well high on the list, and is a fine choice in any hunter’s collection. Included with the package is a high grain leather sheath that is vegetable tanned with a brown aniline finish. 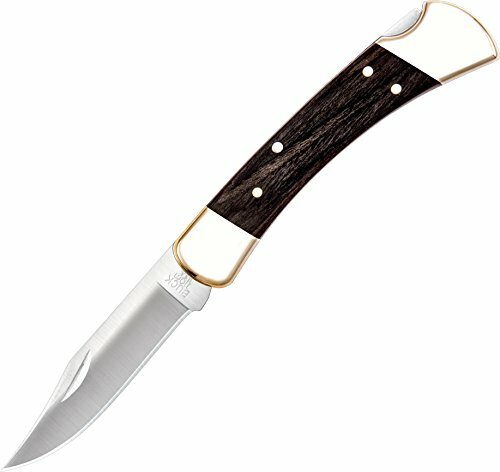 Notable features of the Puma Skinner Stag Handle Blade include stag handles, brass finger guards and pins, and brass lined lanyard holes to complete the entire package. All components are guaranteed to be of the highest quality by both name brand and market standards. Company standards have been top notch since Puma came into existence, even as far back as 1968. Although of adequate size, the handle is a bit blocky and meant for larger, meatier hands. Not a real stand out in terms of features, although quality matches up with Puma in every way possible. The Puma Skinner Stag Handle Blade looks like it can get lost in the mix of the hundreds of manufactured hunting knives, many even in Puma’s own lineup. The price range is acceptable for what you get, and there aren’t any glaring defects as the knife comes sharp and ready to go right out of the package. There are many choices that can be made over the Puma Skinner Stag Handle Blade, which isn’t a bad overall choice, but also isn’t a standout. The value is there, as well as size and performance. It won’t be a disappointment, but it definitely won’t stand out from the rest. Well known and loved, the Buck Knives 110BRS Folding Hunter Knife is capable and just about the epitome of well-known in the hunting knife marketplace. It has a 3 ¾ inch 420HC steel chip blade, with a closed length of 4 7/8 inches. It is also one of the lightest on the list coming in easily at under a half pound, weighting only 7.2 ounces. The lifetime warranty from Buck is a standard and is well used, without any hassle. The handle is Dymonwood wood-grain with polished bolsters, a competent and natural wood grain. A high quality leather sheath is included for extended use, even though there is a working locking mechanism on the blade itself. Buck’s 4- ever unconditional warranty is pretty foolproof and one of the easier warranties to take advantage of should something go awry. The small design should be ignored, as the Buck Knives 110BRS Folding Hunter Knife is capable for normal chores as well as some heavy duty tasks. The original version of this model was made back in 1962, a good year for the company and for knives in general. As this is a remake, and anniversary stock, there is an emblem on the knife handle that reads “1964 50 years” to celebrate the company’s history. Out of the package it comes incredibly sharp, and even maintaining the Buck Knives 110BRS Folding Hunter Knife is less of a chore and more of a joy because of the craftsmanship. Old school users of the original will not be disappointed with the remake, and new users will welcome anything tried and true from Buck. As of this posting this model like its predecessor has been discontinued, although the lifetime conditional warranty is still intact. It’s not hard to find for the savvy searcher, and is still incredibly sought after even though it is an expired product. This is only a testament to how well made the Buck Knives 110BRS Folding Hunter Knife is compared to other models, and that its value even to this day has stayed intact. Word in the marketplace is that if you get ahold of one of these, classic or remade, to hold onto them. As one of the most expensive blades on the list, the Fallkniven NL4 Leather handle Plain Leather Sheath will either be a hit or miss with hunters looking for value versus features. It sports a 5.12 fixed plain edge blade with a drop point. The blade itself is laminated VG10 steel at 4.48 inches. The brown leather handle doesn’t skimp with feel or quality, and that same craftsmanship finds its way towards the leather sheath it comes with. Despite its nice size it only comes in at 6.7 ounces, all without sacrificing any of its long-term durability. Its usefulness extends beyond normal use all while maintaining a razor sharp blade. There is not a lot of prestige that goes along with this purchase, if that matters to you. Warranty information is not as clear cut, and definitely not as iron clad as Buck with its unconditional lifetime warranty. This is not considered a hot item at all, but that can work both ways. This could possibly be a diamond in the rough purchase for the correct hunter. The actual feel of the knife as well as durability make the Fallkniven NL4 Leather handle Plain Leather Sheath an interesting purchase, even if it is from a lesser known company and isn’t loaded with features. It’s a no nonsense purchase that will either be a winner, or a big letdown for the brave hunter. There are a lot of ways to look at the Fallkniven NL4 Leather handle Plain Leather Sheath, more so outside of the box. The best hunting knife for one person may not be the best for another. There is no squabbling about the quality of this knife, even if the price point is on the high side. The overall satisfaction will depend on whether the specifications and price meet to your standards. Folding hunting knives can sometimes be underappreciated, and that is the case with this 8 ounce knife that measures only 5 inches when closed. The blade itself is a 3.5 inch modified wide drop pint S30V stainless steel masterpiece. The technology behind the blade is presented by Bucks as Edge2x, basically meaning incredibly sharp, rugged, and will get the job done. Standard lifetime Bucks warranty applies, and is the usual no hassle. 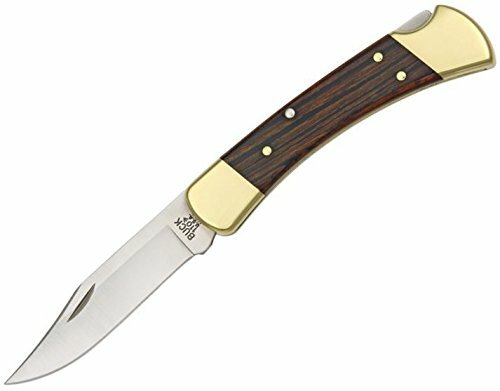 Part of the great craftsmanship of the Buck Knives 279 Folding Alpha Hunter Knife with Heavy Duty Sheath is the Rosewood Dymonwood handle, where they also managed to include a lanyard hole without it looking tacked on. A vital feature is one-handed opening that locks open with a strong liner lock, with traditional flat top edge for finger positioning. Innovative and developed first with this knife is the patented “Zipper” gut hook. There are several uses for this revolutionary folding knife, and it manages the innovation while still keeping traditional roots. The price point is absurd, as it is one of the lower priced hunting knives on the list while still beating the crap out of many above its range. Highly recommended by many, and guaranteed winner for all types. All purpose and one of the smaller fixed hunting knives with an overall length of 6.32 inches, the blade measures 2.67 inches in length and is a modified clip-point blade. The length may be small, but the strength of the blade is a proven CPM-S30V premium stainless steel. Control isn’t an issue with this blade, as full range and movement isn’t hinder for the user because of the size. The handle of the knife is made of durable and moisture resistant Dymondwood. 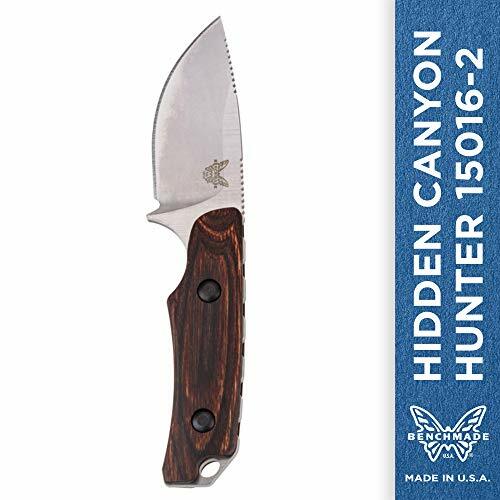 A smaller size usually equals better handling and durability, and that seems to be the Benchmade 15016-2 Hidden Canyon Hunter’s strong point. It is very capable of skinning due to the superior control and size, and comes sharp out of the box. The sharpness is backed by the fact that the blades customization was helped by knife makers like Sal Glesser, Ernest Emerson, Phil Wilson and others. The blade is made to stay sharper longer, which is a huge plus for the user. There’s not a lot to hate about the Benchmade 15016-2 Hidden Canyon Hunter, and plenty of love. There is a nicely made leather sheath included that is pressure fitted, also with an integrated guard. The handle looks like natural wood, but feels and functions 20x better. 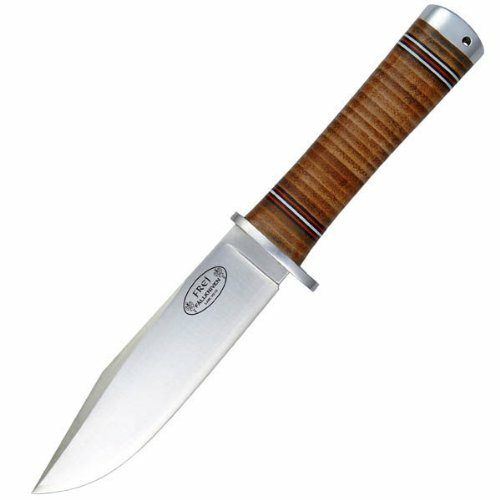 With a low price and lots of satisfied customers, it’s a good hunting knife choice. With one of the coolest names on the list comes the Cold Steel Voyager XL Tanto Plain Edge 29TXCT which boasts a blade thickness of 4mm. The blade length is a good 5.5 inches, and all of those coming in a 6.5 ounce package. Overall length of this knife when unfolded is a long 12 ¼ inches, which coupled with the extra wide blade makes for some awesome hunting. The big feature here is strength, and at an incredible price to boot. The parts are of good quality, both hand fitted and laser cut. The tri-Ad lock mechanism is a staple of Cold Steel and is touted as one of the best low maintenance knife locks in the world. There are some fancy terms tossed around when describing the sharpness capability of this hunting knife (VG-1 San Mai III) and for good reason-it is a quality buy. 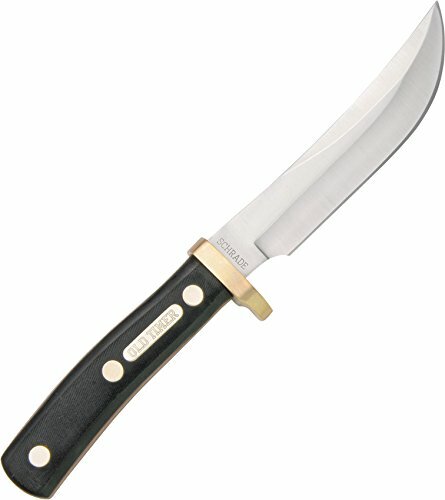 Durability and features when compared to other knives of the same caliber is somehow lacking, notably among die hard hunters. It’s not a bad knife, and it’s not a great knife, despite the awesome name. 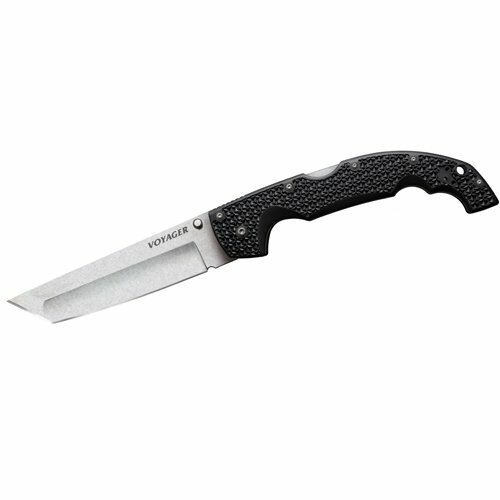 The Cold Steel Voyager XL Tanto Plain Edge 29TXCT is a very middle of the road folding hunting knife that won’t hurt to have around. It’s also one of the largest folding hunting knives out there, while having the ability to be tucked away discreetly. Even with that value in mind, the Cold Steel is not at the top of the list. Buck has many on the list, and for good reason as the Buck Knives 337 Paradigm Pro Folding Knife manages to stay at a fair price point while being one of the better hunting knives on the list. 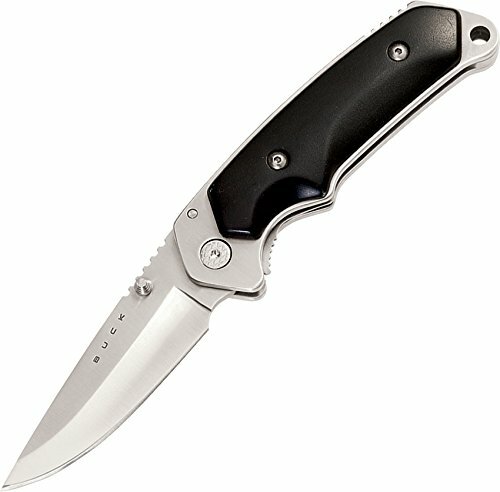 It has a 3 ¼ inch drop point S30V steel blade with a 4 3/8 closed length and total weight of 4.8 ounces. The handle is CNC contoured G10 with steel bolsters and a stainless steel reversible tip-up carry clip. It’s well reviewed and comes with the standard Buck no nonsense lifetime warranty. Buck took great care when making this knife, mostly on the advanced ASAP technology for rapid one-hand deployment. To prevent those unseemly knife accidents the Buck Knives 337 Paradigm Pro Folding Knife has a proven Shift Mechanism bolster lock for top a top of the line safety rating. To those that care, this item was made in the USA. Is not user friendly with thorough cleaning if taking apart, as the bolster screw can be hard to get back in place. Another downside that may hinder purchase is that the knife is that the safety seems right hand friendly, and is not ambidextrous in use. The problem mentioned before with the cleaning could cause some die hard hunters to reconsider the purchase, as a lot of wear and tear, much like with projectile weaponry, requires complete breakdown and reassembly to guarantee effectiveness and longevity. Flaws aside, this is a winner from Buck and still one of the best hunting knives on the list. The Benchmade 585 Mini Barrage comes in both sizes of mini and serrated, but for this review the focus will be on the mini. The small but formidable 2.9 inch blade is made of 154CM stainless steel, one of the smallest folding knives on the market without losing functionality. Folded it is only 4.75 inches and open 8.35 inches for a total weight of only 4.20 ounces. There is a lot to love about this hunting knife, small package and all. The thumb studs are ambidextrous with a reversible pocket clip for maximum performance for all users. The Axis Lock mechanism helps with quick deployment or finesse when concealing. The safety is on the back, and like many things with this hunting knife is in a well-placed spot that doesn’t get in the way. There is great quality all around with this model and through repeated use it promises to hold its edge well. Although the blade and locking mechanisms are of top quality, the actual handle seems to suffer from being of low grade to the point it feels like it came from a completely different hunting knife. The quality of the blade compared to the handle is jarring at first touch, to say the least. There aren’t a lot of complaints about the knife being returned, so it’s possible it is just user’s preference. 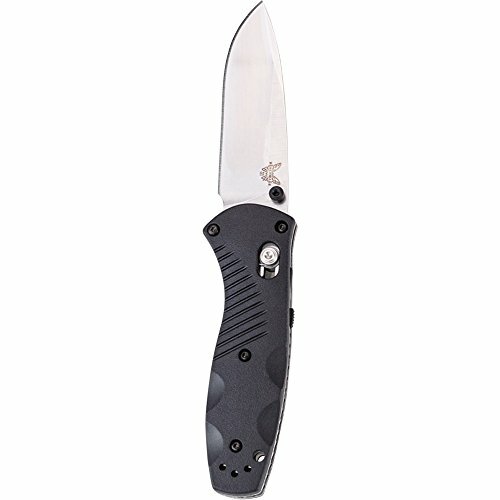 The Benchmade 585 Mini Barrage is a pretty good buy, but a far cry from the best knife on the list. As the lowest priced blade on the list, the Schrade 165OT Old Timer Fixed Blade can be purchased for less than a trip to the movies with no snacks. It has a fixed high carbon stainless steel blade with a limited lifetime warranty. The total length is 9 ½ inches, just shy of 10 and comfortable enough to tuck away in the included leather sheath without getting in the way. It has a surprising bit of weight to at 9.6 ounces, so it is in no way a flimsy hunting knife. Schrade is very well respected, so it goes without saying that it’s possible that the Schrade 165OT Old Timer Fixed Blade is riding off of namesake alone, and can’t be that good of a deal-but it is. The handle favors larger hands, but is still easy to wield for smaller hands as well. It’s perfect for skinning and preparation, even general hunting. The blade is razor sharp and can be made sharper with fine tuning and care. You just can’t beat the price on this one, even if it isn’t the prettiest or most feature rich blade on the market. It is pretty no nonsense, and a steal at the current price. The scales on the handle are not of high quality, and are actually standard nylon. But for the value it’s very easy to rank the Schrade 165OT Old Timer Fixed Blade as a must have in any collection. There’s a pretty good feeling associated with owning this hunting knife, with all its nickel silver bolster and 4.5 inch high carbon stainless steel blades glory. It won’t break the bank with the purchase, but it also won’t move many with its features. The Boker Traditional Series Folding Hunter Knife with Jigged Bone Handle still manages to squeeze in some innovative features like double blades of great quality. The blade lock uses a slip joint, and should deter most accidents from mishandling. As a multipurpose knife, this uses a fingernail groove to open and may frustrate those users who are used to one handed operation. It’s important to note that these blades were not made for quick use, but as a multifunctional blade is quite impressive, and for the price they even managed to throw in a leather case. Closed the knife measures 5 ¼ so should fit into pockets without any problems. The brown Jagged Bone handle feels good, and is an underappreciated feature of this dual blade hunting knife. It won’t wow a lot of people who already have an impressive collection, but Boker gets their point across well with this model. It lacks the smoothness of other hunting knives on this list, but still manages to be a lot more useful than others. The Boker Traditional Series Folding Hunter Knife with Jigged Bone Handle won’t be the go to hunting knife, but it’ll definitely be in the rotation. Hunting knife blades are either going to be in a fixed stationary position, or they will fold. Old timers usually prefer the fixed blade while newer hunters favor the folding style. One isn’t better than the other, and it strictly comes down to user preference. Durability will always favor the fixed blade, and is common sense as there are less mechanical parts to deal with and break. It’s also easier to clean and maintain, and comes out of the box ready to handle heavy duty tasks, even expected to go through bone without ruining the blade. There is also a cool factor about having a sheath at your side, but there is also a safety factor to be mentioned as well in dangerous situations. Folding blades are much more versatile in their use and can easily be hidden, taken out quicker than a fixed blade, and are for everyday use. The ability to carry it in the pocket is a bonus in situations where it would be a burden to have a sheath on one side, and the locking mechanisms of all folding blades are now at a quality where safety favors them over fixed blades. But folding blades are also harder to clean, less durable, and many can’t handle the heavy duty tasks of a fixed blade. More than likely a folding blade will be calling in on that warranty sooner than the thicker and more powerful fixed blade. Stainless steel and Carbon steel blade flood the market with hunting knives, and both have a particular crowd that favors one over the other. Now your blade is going to be an essential part of what makes the hunting knife useful, so the blade material is a pretty big thing when considering the purchase. Stainless steel is made up of several components like iron, nickel, carbon, chromium etc. and is very resistant to rust, but lack the razor sharpness of Carbon and is known to stain in some environments. Hunting knives, depending on their use, are not going to be shiny trophies in the long run so the staining may not be a big deal depending on the person. Carbon steel wins the prize as being the sharpest of the two, and easier to care for and maintain that sharpness. They come out of the box ready to go, and dulling of the blade is not a big issue at all and an easy fix in the long wrong. It also requires the most care, and has questionable long-term performance when compared to a Stainless steel blade. Carbon blades rust and discolor very easily, even if cared for. A good warranty is important when purchasing a Carbon steel hunting knife, as it becomes a game of avoid the corrosion. This section obviously applies to fixed blades only, and is another important component. The only accessory that matters with a hunting knife is the sheath, as a bad sheath with a sharp hunting knife can lead to some adventure worthy war stories. A sheath has multiple uses, besides keeping the user from getting cut, it protects the knife itself from damage, allows ease of access, and just looks good wearing it. A good sheath won’t be clunky, and comes in leather, Kydex, and Nylon, being the worst. The general rule is that if the hunting knife comes with a Nylon sheath, ditch it immediately like a Centerpoint 4×32 scope on an air rifle. There is still a heated debate in preference over the Leather and Kydex sheaths, much like the debate between fixed and folded blade hunting knives. Leather is the traditional material that has been around for years, not only to sheath hunting knives but other weapons as well. They go as far back as Cowboys, and even further than that in history as the sheath of choice for weapons. The look is classic, and the material if taken well care of lasts for years. Durability is never a cause for concern with a leather sheath, and only comes into play when the leather itself is of a low quality. Kydex is a new thermoplastic material that has gained considerable respect within the community so much that a lot of manufacturers have shifted to it over leather sheaths. Kydex is an interesting material in that it form fits to the hunting knife, ‘clicking in’ and negates the need for a strap to hold it in place. This makes for a usually smaller sheath with less materials to bugger about, and the Kydex itself is always of the highest quality but lacks the looks and appeal of leather. It also dulls the edge of the hunting knife over time, but the loss is so minimal that it is hard to not look at Kydex as the future. 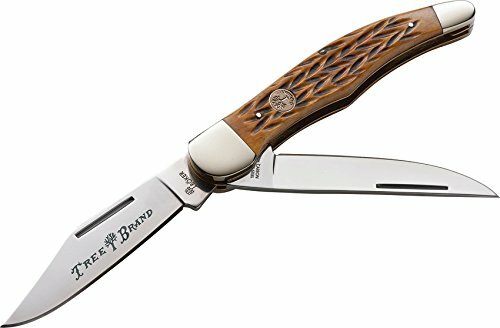 There is only one multipurpose knife on the list, and that is the Boker Traditional Series Folding Hunter Knife with Jigged Bone Handle. There are more on the market, of varying quality. The idea of putting two types of blade in one knife is a nice innovation, and there are plenty to choose from. The focus is that while it is nice to have multiuse in one knife, overall the quality is better served using two knives with specific functions rather than one knife with dual blades. There is nothing wrong with the Boker or dual bladed hunting knives, but if the purpose is for max quality and usability, a separate two knife system will always be the winner by a wide and long margin. There are many knives out on the market, with a no b.s. approach to handling the most complicated of hunting tasks without fail. The choices are plentiful for the hunter or even general user, and in the end there is no wrong choice. One of the most amazing thing about hunting knives is that they really are the perfect accessory for a hunter, and have not changed much at all over the years. There are few innovations over the years, which just means that if it isn’t broke don’t fix it. The introduction of Kydex is a welcome addition, and is used by many professions outside of hunting. Kydex may very well become the future of hunting knives, with the materials not only being used for sheaths but for other components of the hunting knife as well. The downside is minimal, and with a little experimentation a Kydex sheath that doesn’t impact the blade will help a long way into Kydex being the number 1 used sheath, and standard in the industry. Leather is not a bad material, and will forever be around as it is the better looking and most used of the two. But there is definitely a shakeup between the two materials. Hunting knives are a great accessory for any hunter, and with the many sources online it becomes even easier to make a well informed choice. This list alone will cover more than just the basics of what is needed for the best hunting knife, and will hopefully aid curious users as well. Choose the one that works best for your needs, and remember there are plenty of hunters who have more than one hunting knife in their collection.